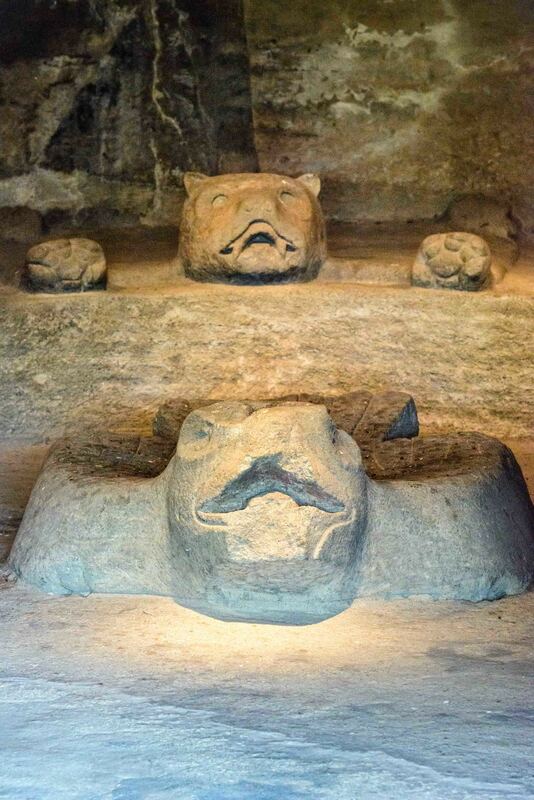 Malinalco, Archeological site, Eagle and Jaguar worrior, Mexico. Malinalco is a town and municipality located 65 kilometers south of the city of Toluca in the south of the western portion of the State of Mexico. Malinalco is 115 km southwest Mexico City. Malinalco has always been associated with magic or sorcery due to the legend that it was the home the goddess Malinalxóchil. The municipality is home to the famed village of Chalma, where according to legend, an image of a Black Christ miraculously appeared in a cave that was devoted to the god Oxtoteotl. It is the second-most visited shrine in Mexico, after the Basilica of Our Lady of Guadalupe. The Aztecs conquered the area in the 1470s, and established here a sanctuary for their military elite, the Eagle and Jaguar warriors. The complex was built on the Cerro de los Idolos (Hill of the Idols), over an older ceremonial site. 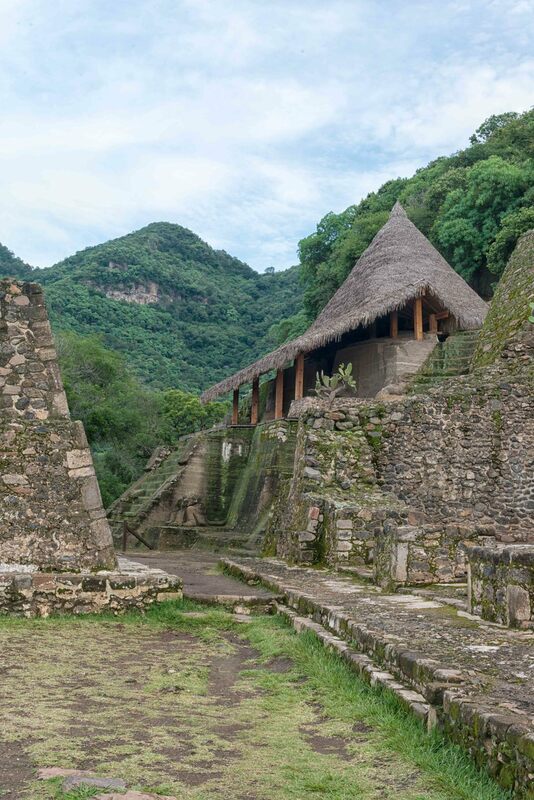 The main attraction of this archeological site is the Cuauhcalli or "House of Eagles". It is one of the few buildings in the world monolithic, i.e. a single stone carving, and only in America. Map of the archaeological site of Malinalco. Cuauhcalli, which means "House of the Sun" or "House of the Eagles". 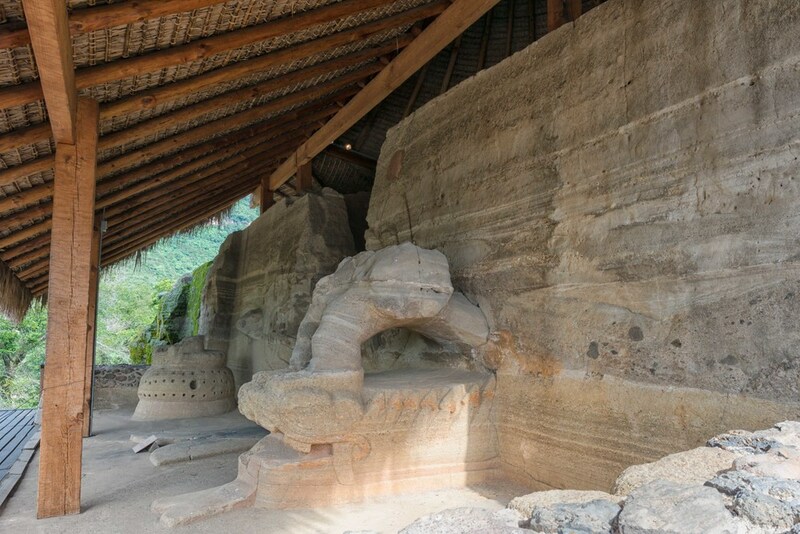 To the east, there is a sculpture of a serpent’s head on which rests the remains of a statue of an Eagle Warrior. 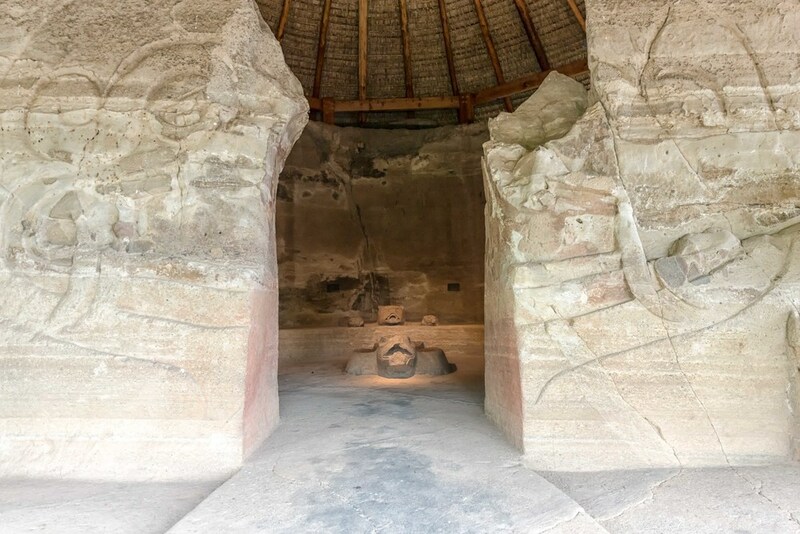 To the west, there is another sculpture in the shape of a large pedestal, symbolizing a tlapanhuéhuetl (war drum). Entrance to the inner room. The horseshoe bench has four sculptures, the most outstanding one being an eagle that faces the entrance. Two others are also of eagles while the fourth is a jaguar.